If I could tell my former new mom self anything, it would be: RELAX, laugh, and enjoy these spectacular kiddos! 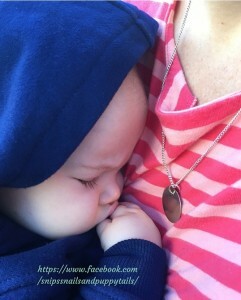 This mom gig is not static; it is ever changing and very dynamic. You can’t control most aspects of motherhood. In fact, the only thing you can really control, and the only thing that really matters, is showing your children consistent love and appropriate boundaries and guidelines. With that said, don’t believe it when people say you can hold your baby too much. If you do, you will miss out on lots of cuddles with your oldest son. You might inadvertently create a clingy baby, but by the age of 18 months, he’ll be off and won’t want to be held down by mommy cuddles anymore. It’s okay to cry over spilled milk or Cheerios or barf in your face. You’re human, but try not to make it a habit. 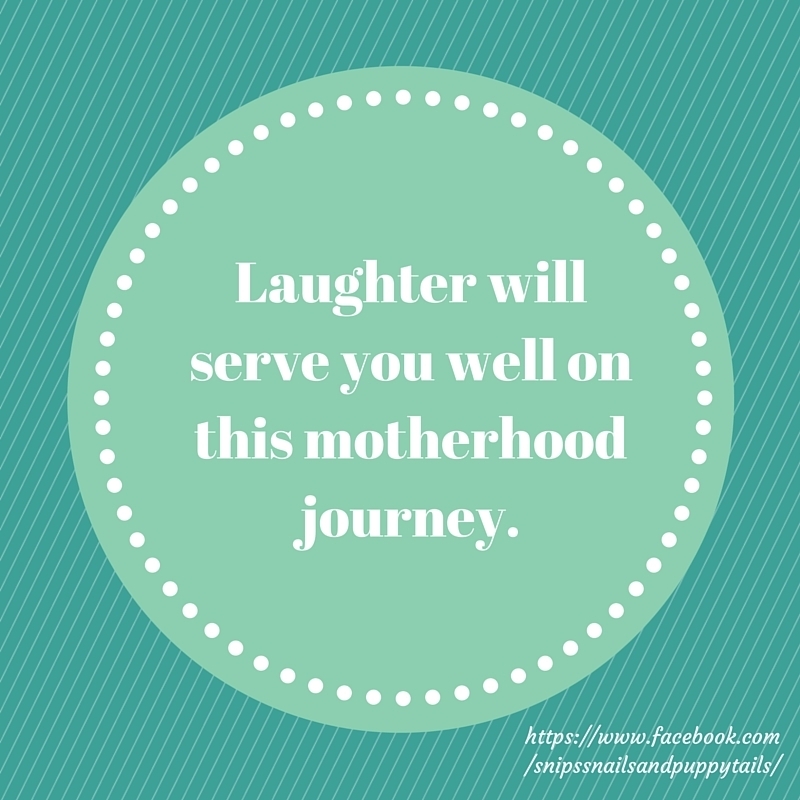 Laughter will serve you well on this motherhood journey. Speaking of barf…even though it feels like you constantly smell like baby puke…4 years of nursing, puking babies to be exact, it will eventually end. You will NOT miss the smell, but don’t fret. It will end. Barf…well, I guess this will happen a lot. You will catch barf with your face, your shirt (inside and out), and even your bare hands. You WILL survive and laugh. You also will feel like you’re living in a sea of poop…okay, it’s not just a feeling. You will live in a sea of poop and dirty diapers for 6 plus years, BUT it WILL end eventually. I promise, or at least, I hope at this point! You will catch poop with your hands, clean poop from the walls, carpet, and kids, but again, it will not be forever. Plus, poop always makes for a great story! Just ask your 4 sons! 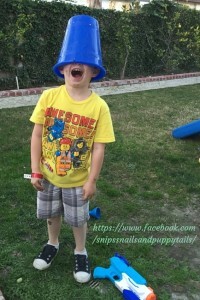 Enjoy and embrace the crazy chaos that is a wonderful aspect of motherhood. Play with and cuddle those boys, because before you know it, your 6 year-old won’t hold your hand anymore. It will break your heart, but you will sneak in little cuddles and hand holds here and there. Oh, and when all 4 of your kids are crying at the same time. Yes, this will happen OFTEN. It’s okay to cry too. In fact, you will, but the best moments will happen when you laugh. For some reason, it clears the mood and most of your kids’ tears. You will also be humbled more than you know. It’s possible that your baby might fart so loudly that everyone in your oldest son’s Back to School Night will turn and look at you like you’re the culprit. Smile and move on. 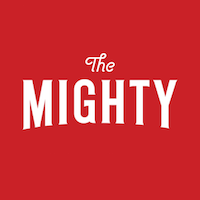 Another great story for the books! You will also walk around with stickers on your forehead, and not one person in Target will tell you. My advice: take a quick peak in the mirror to avoid situations like this or having mascara on one eye and not the other. You will also get over these embarrassing moments too just like when your son tells his Christian preschool teacher that your favorite drink is beer. Another great story. All in all, this journey through motherhood is AMAZING!! Relax, laugh, and enjoy! Crazy things will happen, but roll with the punches. Enjoy these moments. They will become wonderful memories you cling to when your babies are far from home.